In a Cloud Service Management and Operations transformation, your team ensures that its services are robust and operationally ready to run in a production cloud environment. Do you need to determine how your team must change to perform service management and operations in a cloud environment? Figuring out where to start and how to move forward is a challenge for many teams. Wouldn’t it be nice to have a course that teaches you all the practices that you need to manage your applications? Good news! 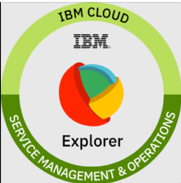 The new Explore Cloud Service Management and Operations course is now available on the IBM Cloud Garage Method site. With this course, you get prescriptive guidance on practices, tools, architectures, and platforms to transform your enterprise and perform service management and operations. Service management overview: Learn what service management is and which aspects the course covers. Organizational transformation: Explore key practices to organize and shape your DevOps team. Deployment, release management, and change management: Get familiar with “Build to manage” practices. Ensure that your development team is building your application so that it can be easily managed in the production environment. Learn how to transform change management when you’re continuously delivering changes to your app. Operational management: Assess your organization’s readiness to develop, deploy, and manage applications in production. Use a RACI matrix to ensure that everyone understands who is responsible, accountable, consulted, and informed every step of the way. Incident management: Get familiar with practices that your team can follow to restore a damaged service as quickly as possible. Use a first-responder team that is equipped with automation and well-defined runbooks. Problem management: Conduct root-cause analysis using the “5 Whys” technique. Build action plans that prevent problems from recurring. All of this transformation starts with a change in your organization’s culture. See how the IBM Cloud Garage Method can help you today!